My flower was made from punching already stamped scraps (you can bet your bippy that I save every snip-it);) with the Pansy and Fun Flower punch. 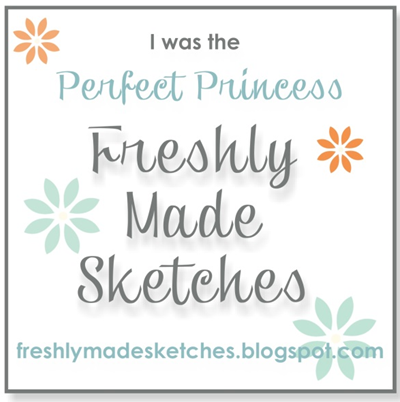 My sentiment is from Teeny Tiny Wishes, one of the first sets I ever bought! I used a circle punch on the top of the treat bag so that she can use her fingers to easily pull the message out. And it helps show off the bling-y sequin trim! Thanks for stopping by! 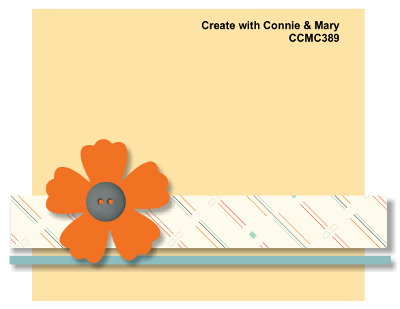 Hope you get a chance to play along this week at Create with Connie and Mary. Be sure to check out the other designer’s cards. What a talented group of ladies! Ohhhh, these colors are so lively and cheerful! I love what you’ve done with the sketch this week. How smart to use the treat bag die! I LOVE the sequin pull!! Your neighbor sounds like a fun friend! 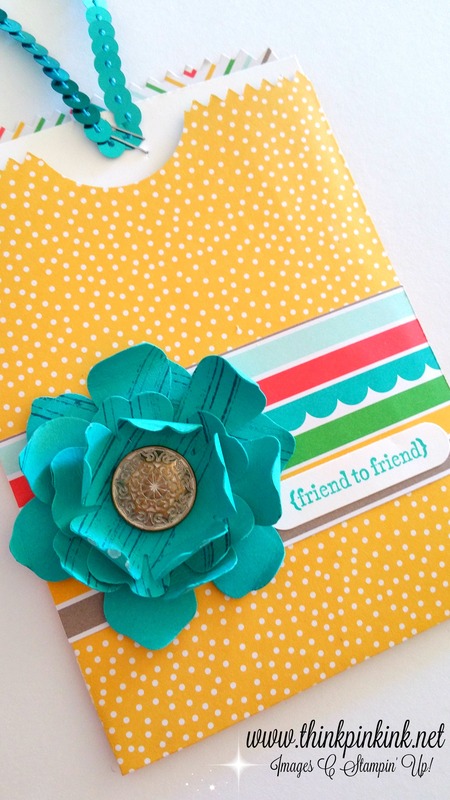 I love how you used such bright fun colors for your project and used the antique brad for the flower’s center. It is all so eclectic! Very cheerful! What a fun treat bag! Gorgeous! I love the happy colors and fun sequin trim Bridgette. Who doesn’t love an interactive card. So bright and colourful Bridgette and the flower and sequins really turn the decoration up a notch – such a fun card idea too, I’m sure your neighbour will love it. How exciting to get a Silhouette Cameo for Christmas too – I have one and love it yet don’t use it anywhere near enough, so I will be watching your exploits with interest!! The bright cheery colors are such a treat! 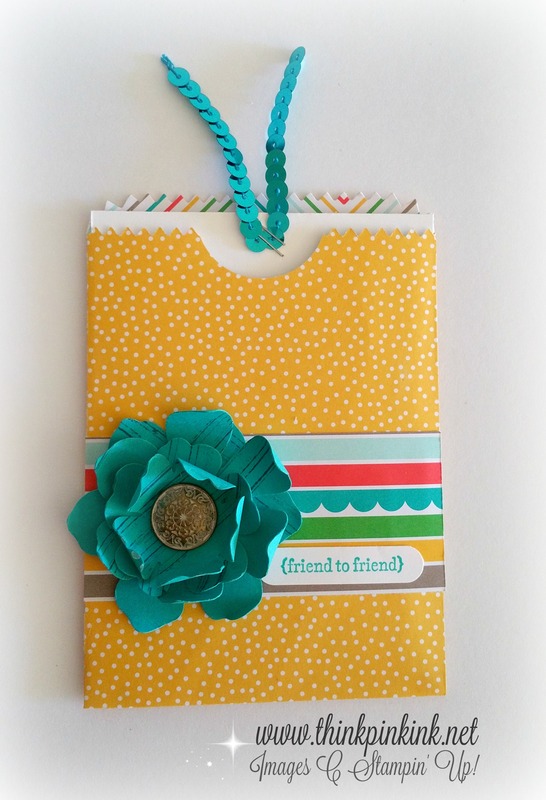 I love this kind of pouch/card because it is fun and different!